Deciding to move your aging parents into an elder care center is never easy. 87% of seniors wish to remain in their own homes. However, this isn’t always possible when safety and hygiene issues arise. Choosing the right senior care facility can give you peace of mind knowing your parent is being cared for, and it takes a lot of stress off of your shoulders. Plus, over time you’ll likely find that your parent is thriving in their new home surrounded by all their new friends. Of course, each senior assisted living facility is different. So, you want to make sure you do your research to find the best one for your aging parent. Do you want to know more? Keep reading for our tips on choosing a senior care facility. The first step is to determine what kind of facility they need. There are four different types, all catering to a different level of care. Is your parent still able to care for themselves? Do they just need help with cooking and cleaning? Are you worried they are feeling isolated and lonely? If you answered “yes” to any of these questions, an independent living facility may be your best option. Centers provide housekeeping and laundry services, as well as recreational activities, dining centers (which could range from restaurant-like to cafeteria-style), and transportation services. They do not, however, help with medical or personal care, such as bathing and dressing. Does your parent need help in order to do their morning and evening routines? If so, they may need an assisted living facility. They’ll get all the same services that are offered in independent living with the addition of personal care. Employees can help residents, bathe, brush their teeth, get dressed, brush their hair, eat, and handle incontinence care. Centers will cater their services based on what your parent’s needs are and will set up a daily schedule, so your parent knows when they will be coming. Medical care is still not provided at this level. If your parent requires medical care, a nursing home will be their best option. They can get access to 24/7 medical care from a team of highly skilled nurses, including injections, IVs, medication administration, wound care, and so much more. Additionally, they will still be able to get personal care services. But which option is best if your parent is suffering from dementia or Alzheimer’s? Memory care facilities exist to cater to the special needs of those with these conditions. All staff members are knowledgeable about dementia and Alzheimer’s and how they should communicate with residents. This includes knowing how to handle and diffuse difficult behaviors. They are also trained to keep a lookout for subtle changes in physical and mental health. Of course, all this extra care doesn’t mean your parent can’t feel at home. While there are larger facilities available, you can also visit this website to see how memory care can be handled in a smaller home with more personalized care. Alright, so you think your parent would thrive in an independent or assisted living facility. But what about in the years coming? 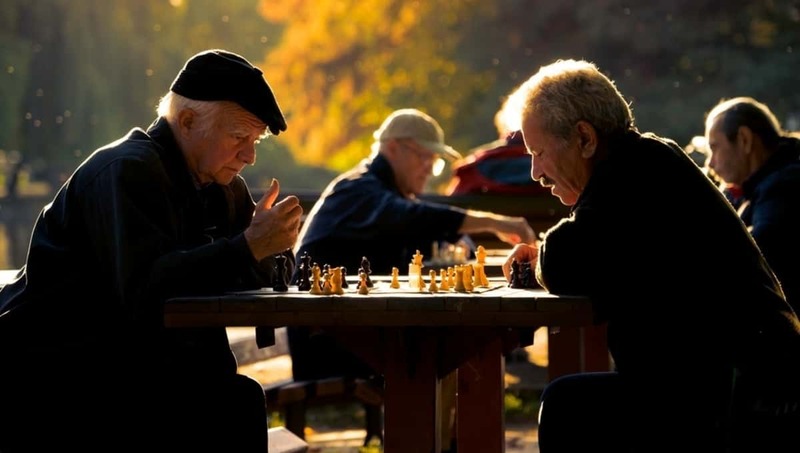 Some senior care centers provide several different levels of care in one facility. They may have one wing for independent living and one for assisted. Or maybe they are an assisted living facility with a special wing for memory care. If you suspect your parent may require additional care later on, consider finding a facility that can accommodate that. This takes a lot of stress off of you and your parent. You won’t have to worry about repeating this process in a few years if they require more care. And your parent won’t have to uproot their entire life again and start over in a new and strange facility. They can keep their same friends and stay in the same care center–they will just need to move to a different part of the building. A care center can look great on paper, but that doesn’t mean you should be so quick to decide on it. It’s important to visit the center first. Book a tour and pay special attention to the area. Is it clean? Do staff members smile and look happy to be there? When walking past resident rooms, take note of the smell. If you can smell strong odors when walking by, this means the resident likely isn’t getting the care they need, whether that be bathing or housekeeping. While cleanliness is a priority, you also don’t want it to feel like a hospital. Make sure the decor and overall atmosphere feels like someplace you could call home. Many seniors suffer from loneliness, isolation, and depression. You want your parent to enjoy their life, so make sure the facility you choose has a healthy list of activities. This may include regular bingo nights, fitness classes, and outings to the local mall. They should also have some special activities to keep things fresh and interesting. Right about now, you’re probably wondering just how much this will cost. Well, the price varies depending on the facility and the level of care. You’ll likely experience a little sticker shock when you first hear your facility’s costs. But many families find that it’s actually not so bad when compared with the cost of living at home, especially if you’d have to pay for cleaning services, in-home care, and yard maintenance companies on top of the normal bills. There are also plenty of insurance options and government assistance programs available to help. So, be sure you look into all your options before deciding. If your parent requires help with their activities of daily life, don’t wait! It’s important to find the right independent living facility, senior assisted living facility, nursing home, or memory care center to ensure they stay safe and happy. Do you want to know more about aging? Then check out this article on senior health today.